For a long time, they have been a haven for backpackers around the world, thanks to the seemingly neverending beaches, lush tropical climate, great cultural sights and experiences, as well as the very affordable prices. The huge number of islands and lands contained in these eleven countries offer limitless possibilities for intrepid travelers, and these 5 amazing attractions in Southeast Asia are only a small taster of what awaits you. One of the most awe-inspiring and iconic attractions in all of Asia is the breath-taking temple complex at Angkor. The 400 square kilometer park contains the remains of several Khmer capitals scattered in the jungle. The largest known pre-industrial city in the world lies in the archaeological park, and there are more sights in the area than one could count. 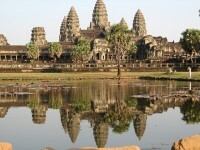 However, the best known is Angkor Wat, a magnificent temple built in the 12th century, and extremely well preserved. Although Laos is the paradise for lazy backpackers who want nothing more than drink Lao beer and watch the river, or those on the lookout for the ultimate hiking or trekking experience,sightseers and amateur historians flock by the thousands to the former capital of Laos, Luang Prabang. The traditional Lao houses, the colorful temples decorated with mosaic and murals, as well as a dash of 19th century European architecture (the remainders of French colonial times) make Luang Prabang a must-see. Seeing as rice is a staple food in many parts of Asia, rice fields are not an unusual sight in Southeast Asia. But nothing compares to the thousand year old rice terraces, a UNESCO World Heritage Site, which are actually still in use today. The terraces was built by the native Ifugoa Prople, who not only built mud walls to contain the field, but also developed a complex irrigation system. 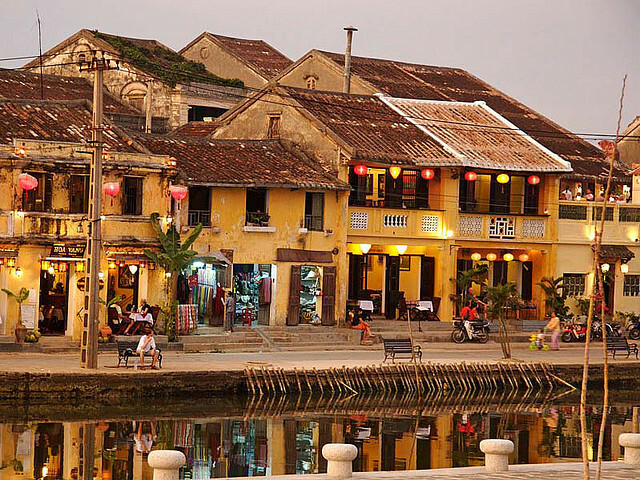 Hoi An is an old city, and by the first century AD it was the largest trading port in Southeast Asia, and by the 17th century it was a major international port. 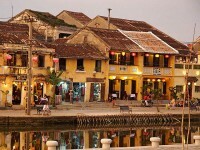 Chinese, Indians, Japanese and Dutch settled in town, and they all left their influence on Hoi An. The old town with its winding narrow alleys and traditional-style shops is a great place to get lost in. 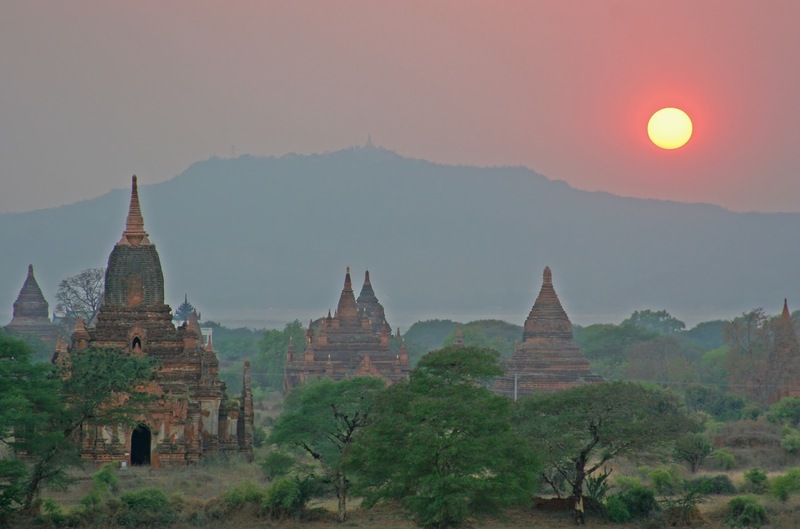 Myanmar might not be everyone’s cup of tea, considering the poverty and corruption that run rampant in the country, but the beauty of Bagan, the ancient city with its countless stupas and temples, is too hard to resist. Bagan’s ruins date back mostly to the 12th and 13th centuries, and despite the fact that some were reconstructed without much credit to their original form, the complex is simply breath-taking. Just came from South East Asia where I visited Hoi An and Luang Prabang for the first time (I’ve seen Angkor and Banaue some time ago)… I fully agree, both are fantastic. 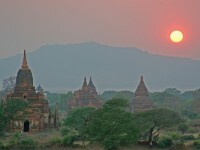 It’s a shame, I missed Myanmar, but I should go there asap !